Though it's extremely flavorful, flank steak is one of the tougher cuts of beef. It can be prepared a couple of different ways. One way is with moist heat cooking techniques such as braising. This method helps to break down the tough connective tissues between the muscle fibers so that it's tender and moist. Flank steak is also frequently prepared using dry heat cooking methods like grilling, but it's important not to overcook it. The trick is to grill it over a very hot grill for a short time, then let it rest, and then slice it against the grain. Slicing against the grain is especially important because otherwise, the muscle fibers will be very chewy. Flank steak can be identified by the characteristic grain of the meat. These long, stringy muscle fibers can be tough, which is why it's important to either break them down through slow, moist cooking or by slicing across this grain. It's common to marinate flank steak, which adds flavor and can help prevent it from drying out on the grill but won't tenderize it. 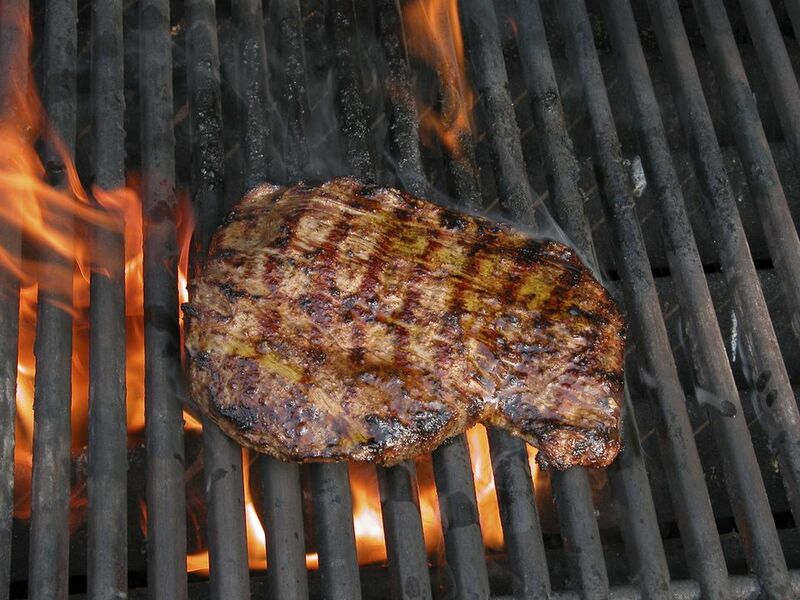 Popular flank steak recipes include carne asada and beef stir fry.